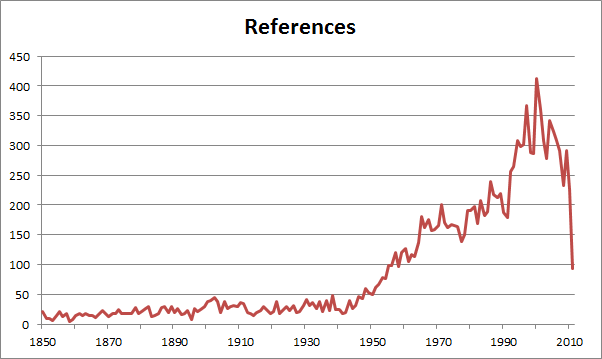 The number of weaver references published per year, from 1850 onwards. This includes peer reviewed papers as well as general articles (e.g. in bird club newsletters) and some grey literature (e.g. newspaper articles). The headers below refer to references that featured in the Weaver News section since 2009. Click on a header to see the News item, which includes the full citation and usually includes an abstract, and sometimes illustrations and other information. (The number in brackets is the date that the news item appeared on Weaver Watch, and this is followed by the first author and year of publication). (See full species list here). You can easily select a weaver species and the search is done without you needing to type the species name (if you want to search on variations of weaver names, you will need to type this in the google search bar).